I have not been writing much lately because my husband and I recently found out big news- we are expecting. My first trimester was rough both physically and mentally, but staying active helped me tremendously. 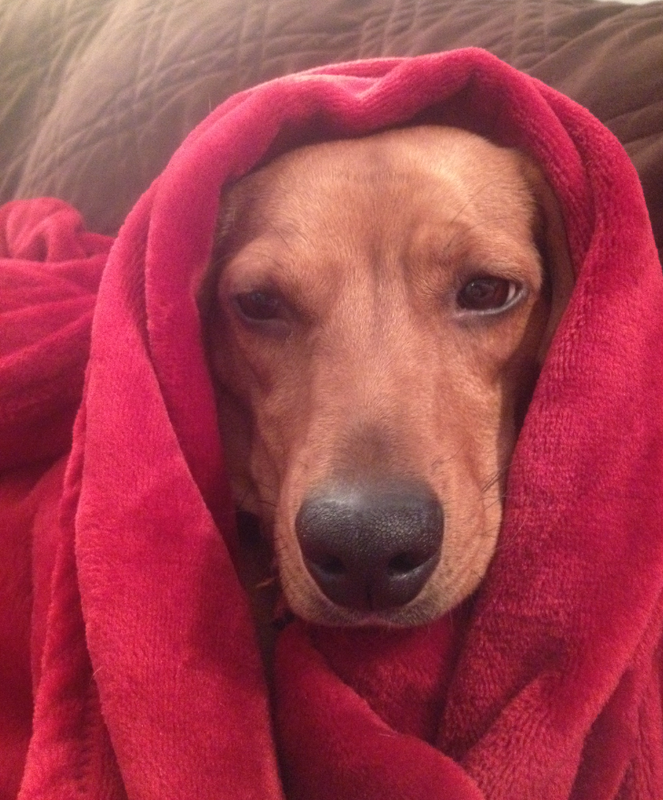 I spoke with my doctor and I am allowed to continue training. I just have to be careful, self-aware, and take everything slowly. I was considering completely scrapping the race schedule I had planned for the year. Instead, I figured it was worth a try to at least register for the events I wanted to participate in and run on race day only if I felt up to it. 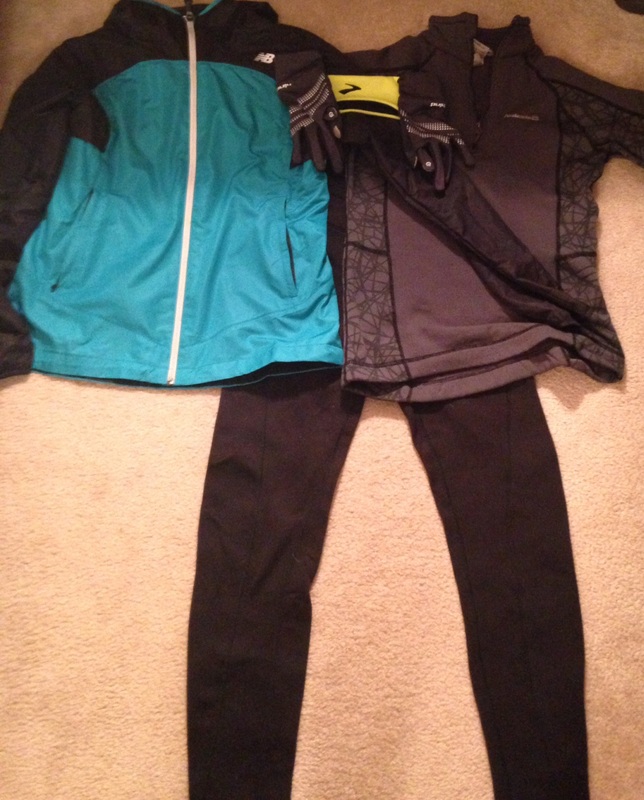 I was feeling good on Saturday and my training had been going well so I gave the 10 Miler a shot. I am very happy to have had this experience. Before I found out about the pregnancy, I had hoped to run this race at a 9m/mi pace or faster. I knew immediately that having a goal at this point was not wise, and even though I am still fairly small, running is MUCH HARDER. My hips are achy and I just don’t feel like I can move very fast, even when I am putting forth the effort. This race was very different compared to my past experiences. I took restroom breaks and even walked periodically. I also tried my hardest to just take in my surroundings and remove my mind from focusing on time. 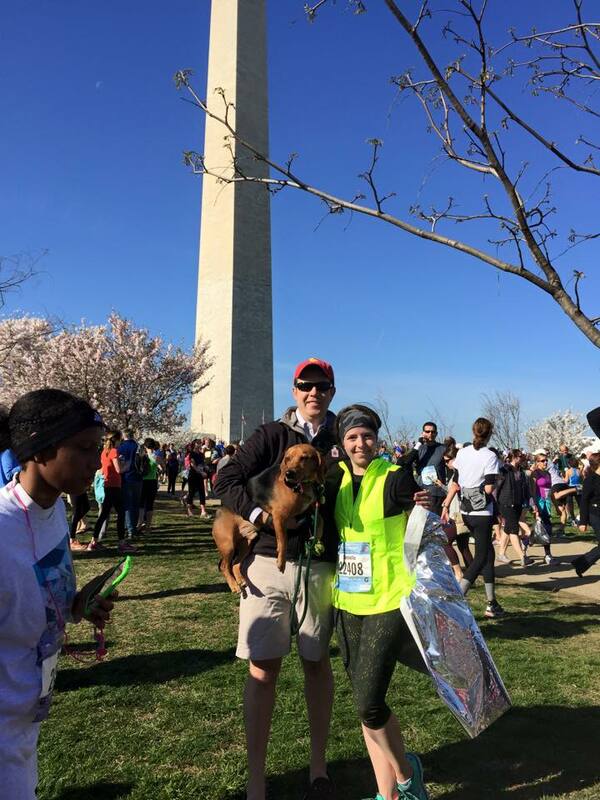 PROS: This was my second time running the Cherry Blossom 10 Miler and it is definitely an impressive and well organized event. It is friendly to all skill levels and I highly recommend it to any runner! There are so many good things about this race and I am only going to touch on a few of them. 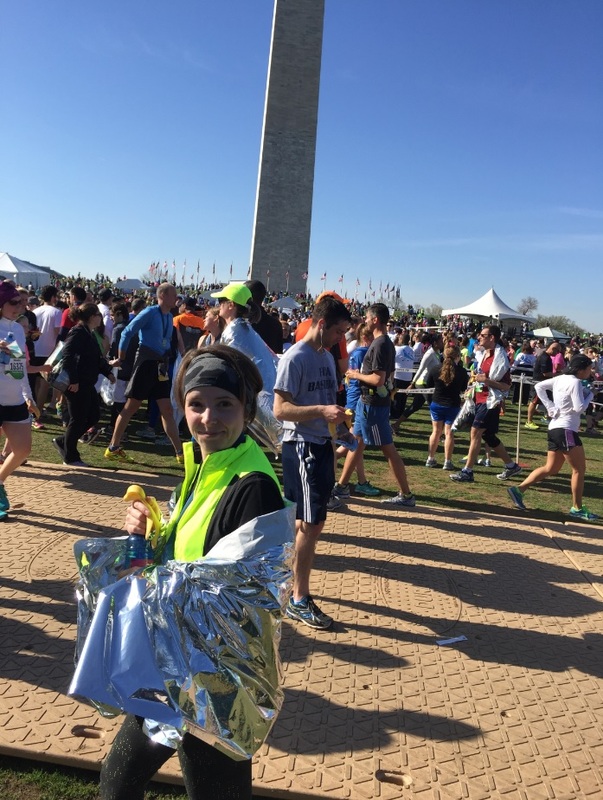 There is certainly a reason this event is a bucket list item for so many runners. Course: The race course is beautiful and flat. In my opinion, this alone makes the Cherry Blossom run worthwhile. Last year the blossoms were at their peak during the race, so it was a bit disappointing that most of them had blown off from the storm. Even with this, the course was still very visually pleasing. I recommend running this event to all runners. It is well worth a trip to DC! 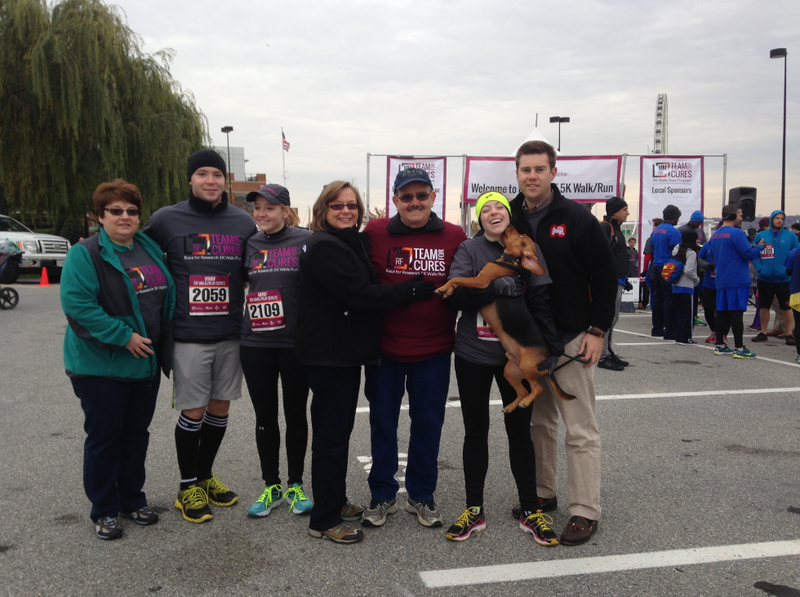 Volunteers: It was freezing on race day and the wind was extremely strong. I was so happy to be greeted with kindness at each water stop and at the finish line. The individuals who came out to volunteer on a day like that have hearts of gold! Adaptability: The organizers of this race are ready for anything! In 2015 they had to deal with a last minute course change due to a traffic accident. This year they had awful weather to work around. Environment: The race environment was very positive, much like last year. There were a lot more spectators last year, but there were still plenty of individuals cheering for the runners. Even though I was extremely slow, I still felt supported. CONS: The only complaints I have about the race were related to the weather and the difficulty of running while pregnant. The race organizers warned us regarding many of the changes they would be making the night before so they did not come as a shock. Below are some more of the specifics I noticed. Race signage: The race organizers informed the night before the race that signage would be removed for safety reasons. This was a pain in some aspects, but I was happy to know about it in advance. The removal of the split time clocks was actually a good thing for me. I am a pretty competitive person, so the lack of knowing how fast I was going was actually healthy for me since I am trying to take things easy. Had I been able to see my progress, I may have pushed myself. Despite the positive situation for me surrounding the split time clock removal, the lack of signage produced some anarchy in the start corrals. I could not personally find where I was supposed to start, so I eyeballed the field and ended up just jumping in. I ended up around primarily people who were running at a similar pace, but there were some people who were much faster and I could tell they were frustrated. Some of these individuals tried to speed by and weave in and out of the slower runners. In many cases they were a bit frightening. I was afraid of being tripped or knocked down at times. Water stops: I recall more water stops being available last year. I think there were only 2 or 3 this time around. I am assuming this was weather related, but I was extremely concerned about the fact that I felt extreme thirst at times and I was instructed to keep well hydrated. 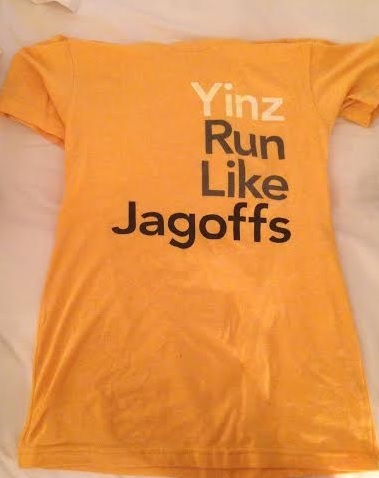 I am planning on running the Pittsburgh Half Marathon in May if things continue to go well for me. I now plan on wearing a hydration belt to prevent issues like this from reoccurring. Restrooms-Let me start by saying that I have never used the bathroom midrace before, so I don’t really know what porta-potty situations are typically like. This time things were different. I had to stop, twice and felt a bit desperate at times. Despite my lack of mid-race bathroom break experience, I thought the restroom options seemed to be lacking in this race. This certainly could just be a complication coming from running 10 miles while pregnant, nevertheless, I thought the lines seemed unreasonably long. Another problem was a bit more disturbing: I saw several men stop to urinate behind trees. Not something anyone wants to see on the National Mall. I have not taken the initiative to blog in quite some time. I had to take a little time off from running due to plantar fasciitis, and I have not done any racing since Pittsburgh. I am gearing up for some exciting things this fall though. I plan to run in the Navy 5 Miler, the Army 10 Miler, and my personal favorite race, the Multiple Myeloma Research Foundation Race for Research 5K. Below is an overview of what I have planned. Navy 5 Miler, September 20th: I will be running the Navy 5 Miler this weekend. I have never done this race (or any of the military races) so I am very excited about this. I am also excited to take my husband to the expo. 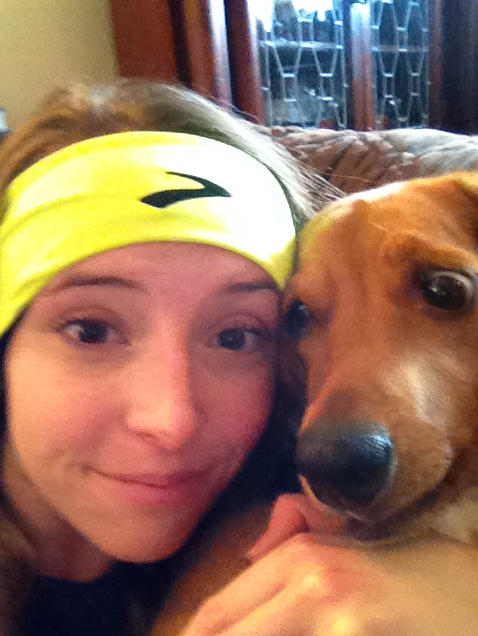 He has never been to one and I am hoping this will get him excited about running. Army 10 Miler, October 11th: I plan to take it easy on this run. I signed up for it when registration opened up and my training progress isn’t where I thought it would be. I’m just going to take it easy and enjoy the race. I am excited for the race atmosphere and to support our military! 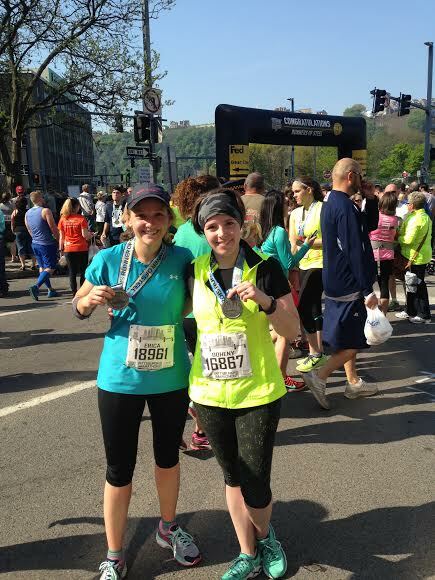 On Sunday, I completed my first half marathon in one of my favorite cities – Pittsburgh! Let me first say that it was incredible to have the opportunity to run in downtown Pittsburgh. Although I grew up in the country, I have always associated this city with home and a lot of hometown pride. The people and the culture in this city are one of a kind, and I am grateful to have grown up in this special region. The crowds and volunteers here did not disappoint as they cheered for the runners in a true Pittsburgh fashion. This was one of the most exciting things about the race and they definitely made a difficult and hilly course less daunting. 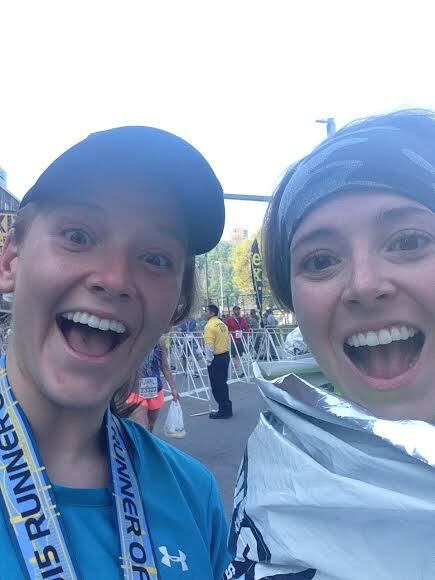 I am extremely excited to write up my race recap for the Pittsburgh Marathon and let everyone yinz know about my experience. There were definitely some things I could improve upon, but I am still very happy about accomplishing this. My sister and I visited the expo on Saturday afternoon. I had never been to an expo before and it was honestly pretty overwhelming. I did purchase some Pittsburgh shirts (which I was very happy with) and we stayed for quite a while looking at the booths and exhibits. We switched from corral D to corral C on race day and it was extremely quick and painless. My sister ordered her shirt a size up since they were extremely tight last year and it ended up being far too large. She was unable to switch it out for a smaller size – which was disappointing. I also heard from a lot of people who were unhappy about the colors of the shirts. Women were given pink shirts and men received green ones. I didn’t dislike the pink ones, but I can see why people were upset about this notion that women would be happier with a pink shirt. The first few miles of the race were great. My sister and I were in corral C since we had switched from D, but we actually could have started in either corral based on our finish time. The starting line and the first two miles were congested so it was impossible to pass people, but that wasn’t a huge problem for me since it was my first half and I wasn’t trying to pass people (or go for a PR). My sister and I ran together and we initially started with a pace group. We decided pretty early on we wanted to do our own thing and keep our own pace – which may have been a mistake – but we were still pleased with our overall time. After leaving the group, we tried to maintain a comfortable pace, but it was somewhat hard with all the adrenaline and excitement. Miles 4-8 went by like a breeze. 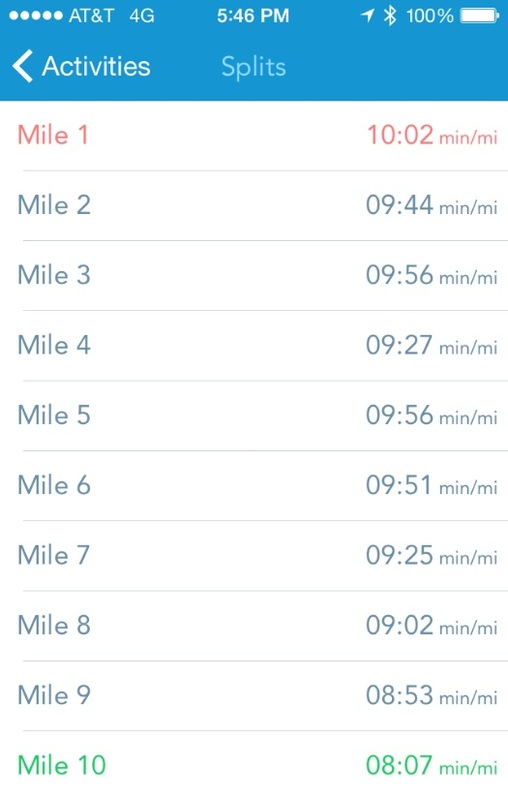 I used my runkeeper app to track my speed and this part of the race was, by far, my best. There were plenty of aid stations and I was still feeling pretty good throughout this part of the race. By this point we had ventured up a number of hills, but even with my lack of hill training, it was still manageable. In all honesty, I was pretty comfortable until about mile 9. My feet started to hurt at that point and, although the rest of my body felt great and my energy levels were fine, things started to get rough. I have been battling plantar fasciitis throughout my training, and last week my work schedule kept me away from doing my typical pre-race routine. I usually have a strict regime of yoga, ice application, epsom salt soaks, and various stretching exercises to keep plantar fasciitis pain at bay. But I had several nights where I was at the office from early morning to late in the evening. I did not have time to properly stretch that week or even do light running. Coupled together, this made miles 9-12 of the race extremely uncomfortable. The hills were also taking their toll at this point. I had been training in DC – which is relatively flat – and I was ill prepared for the hills of Pittsburgh, despite my efforts during training. One final note about this portion of the race – I fully dispute the claims made by E-Z Pass regarding their portion of the race being the “flattest mile on the course.” Mile 11 was THE WORST! My adrenaline rush returned at this point and I picked my pace back up a little bit (I was barely trudging through miles 9-12). Even though my feet still felt awful (and I wanted to take my shoes off and soak my feet) I was able keep going until the finish. I loved that this part of the race was downhill. Nigel was impressed as usual-Even after we presented him with my medal. I had a great time at the race. It was wonderful having my sister by my side for my first half marathon. We had a great time visiting over the weekend and hitting up the expo. During the race she was an expert motivator and, even when I started to get negative, she encouraged me. My sister could have cut a few minutes off of her time if she had ditched me, but I am so thankful she stuck around. I was not completely happy with my time, but still extremely satisfied to have finished this race. Our final time was 2:10 (9:59/mi pace). I ran my 10 miler quite a bit faster, but I attribute that difference to the hill situation and my lack of energy from a tough week at work. I have spent this week recovering and feel pretty good now – I have even started some light training again. I would definitely recommend the Pittsburgh Half Marathon to any runner. It was an extremely positive atmosphere and the people of Pittsburgh work very hard to make this a positive experience. As a caveat however, I would advise anyone hoping to complete this race to focus their hill training. That was my biggest struggle. I also want to extend a special thank you to my sister’s friends for their hospitality and allowing us to stay with them. 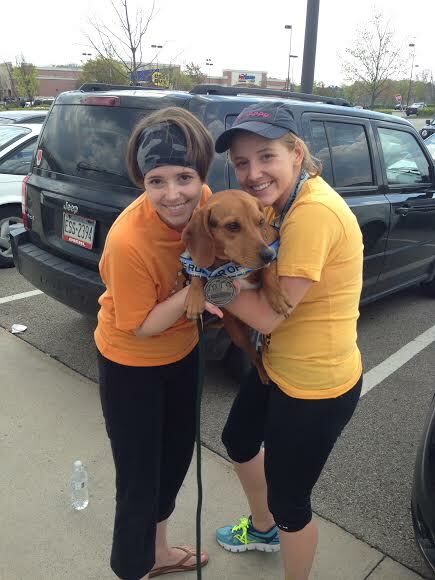 We would not have been able to do the race without you! We were all smiles at the end!